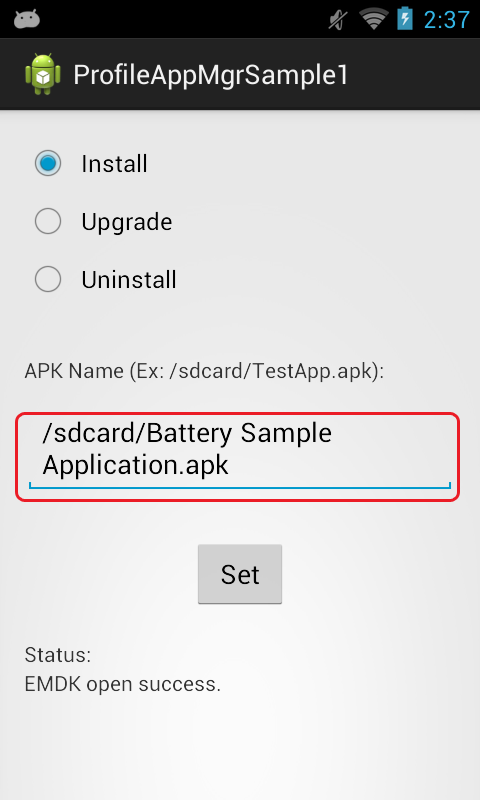 Shows how to use the EMDK for Android Profile APIs to manage App Manager profiles. 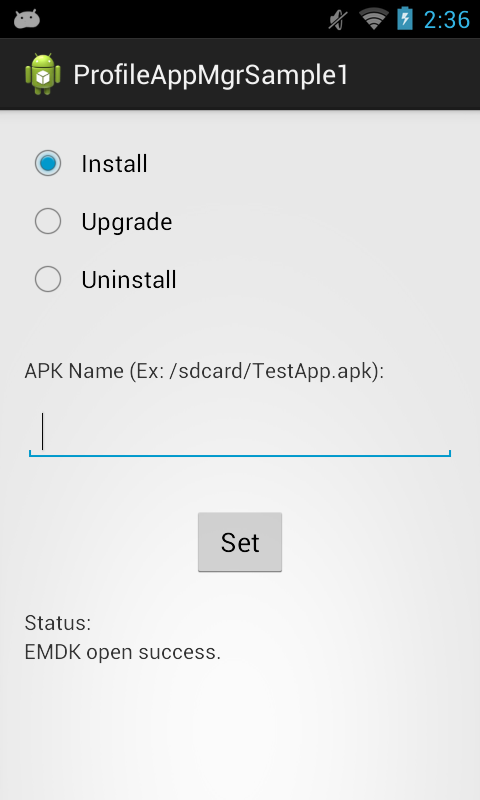 The EMDK for Android allows you to manage applications on the device. 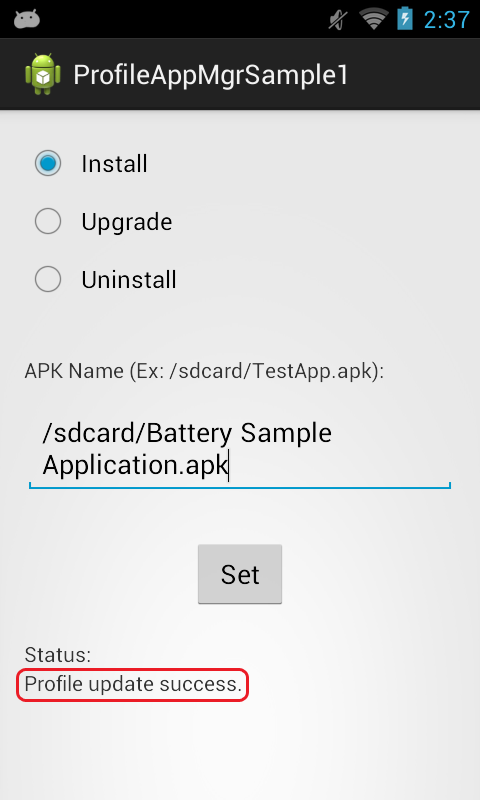 This sample application will allow you to install, upgrade, and uninstall an application. When the application starts it should look like the following. To place an APK file on the device connect the device to to you computer over USB as a "Medea Device" and copy an APK to your device.